On October 24, 2017, we will present our new EVISCAN technology at the 58th Training Conference of the Florida Division of the International Association for Identification. The conference takes place in Panama City Beach at the Edgewater Beach Resort in Florida. 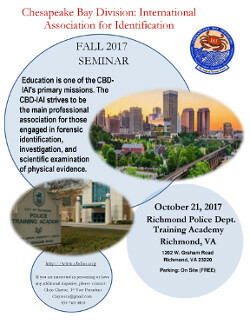 We are invited to give a presentation about “New technology for contactless latent print detection” at the Fall Seminar of the Chesapeake Bay Division IAI on October 21, 2017. The EVISCAN-Team appreciates to visit you at your premises to present our EVISCAN technology to you and your colleagues between October 16, 2017 and October 20, 2017. 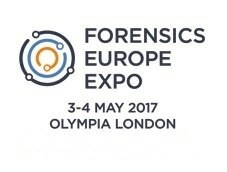 On May 3 , 2017 Normann Kreuter, CEO, will give a presentation about “New Technology for contactless latent print detection” at the Forensics Euro Expo. The speech will start at 12:40 pm. 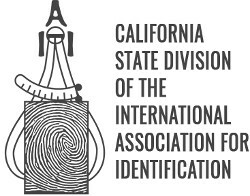 Between May 22 and 26, the annual meeting of the California State Division IAI will be held in Monterey, CA, gathering forensic experts of that region. We are happy to be granted the chance of presenting EVISCAN at that meeting this year. 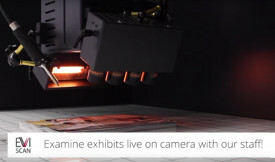 Normann Kreuter, CEO, will introduce our device on May 23 between 3:00pm and 4:00pm. 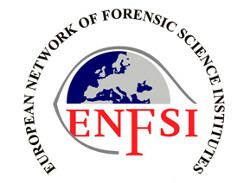 ENFSI is a leading expert group and pre-eminent voice in the field of forensic sciences by ensuring the quality of development and delivery of forensic science throughout Europe. The European Fingerprint Working Group (EFP-WG) as part of the ENFSI promotes development and improvement in the fields of fingerprint detection, imaging and comparison in regular meetings.